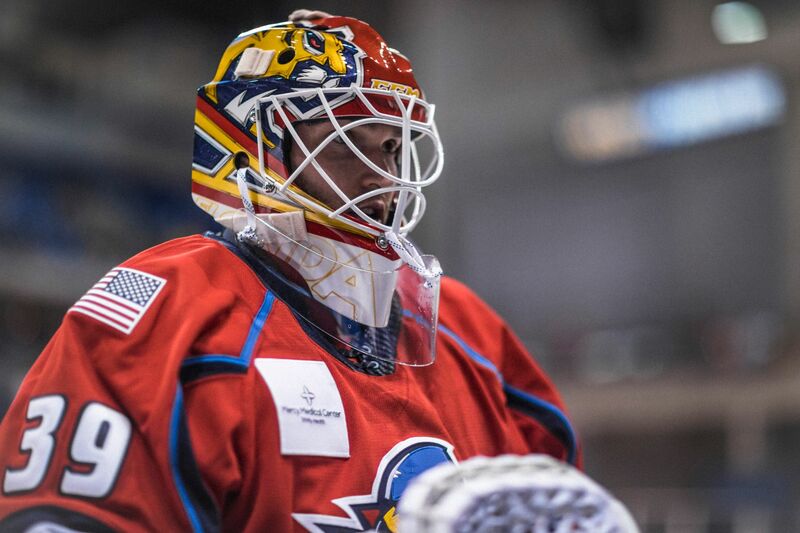 SUNRISE, Fla. – Florida Panthers President of Hockey Operations & General Manager Dale Tallon announced today that the Panthers have loaned goaltender Michael Hutchinson to the club’s American Hockey League affiliate, the Springfield Thunderbirds. Hutchinson, 28, registered a 1.85 goals against average and .957 save percentage in his debut with Springfield on Oct. 6 against the Wilkes-Barre/Scranton Penguins, making 44 saves on 46 shots. ﻿The 6-foot-3, 202-pound native of Barrie, Ontario, split the 2017-18 season between the Winnipeg Jets and their American Hockey League affiliate, the Manitoba Moose. With Winnipeg he owned a 2-1-0 record, 3.26 goals against average and .907 save percentage. He has played in 106 career NHL games with Winnipeg and Florida, posting a 44-40-13 record, 2.70 goals against average, .907 save percentage and three shutouts. The Thunderbirds continue a three-game road trip on Friday, Nov. 9 when they visit the Lehigh Valley Phantoms for a 7:05 p.m. puck drop at the PPL Center. Springfield then travels to take on the Hershey Bears for a 7:00 p.m. start on Saturday, Nov. 10, their first matchup with the Bears this season. ﻿Springfield Thunderbirds fans are encouraged to visit www.SpringfieldThunderbirds.com to learn more about 2018-19 Thunderbirds Season Ticket Memberships. Packages include a wide range of benefits, including the lowest prices for the 2019 Lexus AHL All-Star Classic presented by MGM Springfield. For more information or to order now, call (413) 739-GOAL (4625) or visit www.SpringfieldThunderbirds.com.